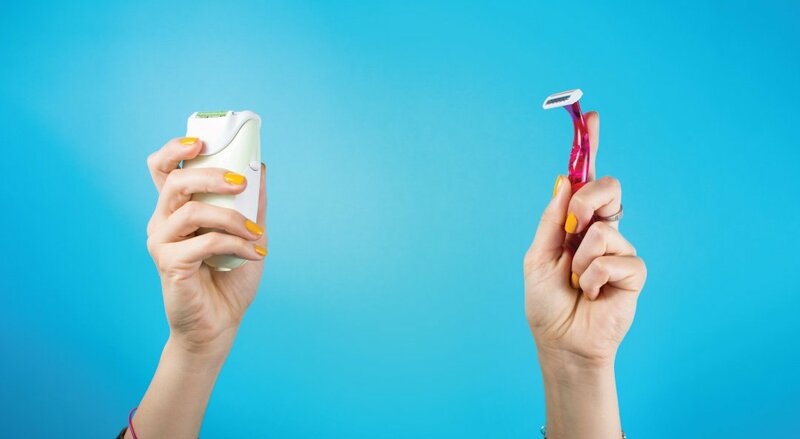 Are you one of those girls who constantly struggle with unwanted facial hair? Don’t worry, your secret is safe with me. In fact, I am also a victim - along with plenty of other women who feel that their confidence levels are lowered due to facial hair. Whether you’ve got a little bit of a sideburn or a tiny moustache, it’s irritating all the same. Blame it all on society’s image of what a women should look like, but you have to admit - you do look a little bit more neat and polished without that unwanted facial hair. Unfortunately, women who have darker hair color have it worse, as the hair becomes more visible compared to women with lighter hair. You might have tried shaving, waxing and plucking but most of these methods oftentimes don’t work! Not to mention the pain they cause. 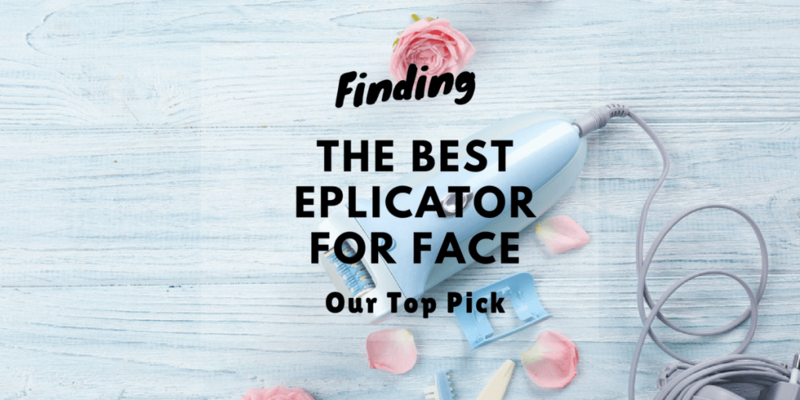 What you might need is one of the best epilators for the face. It will save you tons of time compared to other hair removing methods, it is proven to be best suited for sensitive skin and best of all, you no longer have to spend so much money on products! What Makes A Good Epilator? Have You Used Epilators Before? If you’ve never heard about epilators before, you are in the right place. You might have seen them before online or at your local cosmetics store since they are very common nowadays. Basically, an epilator is an electrical device used to temporarily remove unwanted hair. Compared to using wax or a simple tool for plucking, an epilator has spinning discs or springs that grasp on the unwanted hair, pulling it from the root. The best part about having an electronic device is that it requires lesser force and effort from the user. And because it is electronic, the device pulls out the hair simultaneously almost like waxing does. The only difference is that epilators don’t remove your skin cells in the process, unlike waxing, making it the more comfortable option for people who have low tolerance to pain. You may also use epilators for different parts of your skin from legs to arms, underarms, face and even your bikini area. With an epilator, you won’t ever have to stock different hair removing sheets or different kinds of razors for each area. You may have heard different kinds of reviews or horror stories online about using an epilator. Others say that it looks very intimidating and scary to use, others say that their skin had undergone a terrible rash after using it. Be reminded that not all epilators are made the same. Investing in a good quality epilator lead to better quality results. Whenever you’re looking for a good epilator, almost everyone will recommend that you get a Braun - and with very good reason. The Braun Silk-épil 9 9-579 epilator still remains at the top of the charts for best epilator choices because of its premium tweezer technology and skin-smoothing capabilities. Just as the name suggests, this epilator can be used wet or dry, and it is also cordless. Apart from that, it also has MicroGrip tweezers that allows the epilator to remove hair with precision, and wider, longer hair removal. It is proven to be virtually painless as well. Not a fan of heavy-duty epilators? I understand that sometimes, we just don’t need all the extra functions at once - especially when travelling. Do you need a small epiliator to slip into your travel bag? 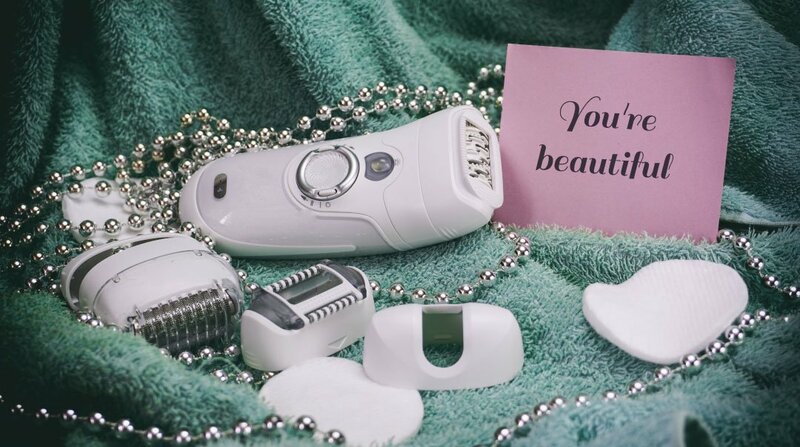 Try the Emjoi Epi Slim Epilator for size. Compared to the more robust Braun Silk-épil, the Emjoi Epi Slim Epilator is a simple and lightweight epilator. Cordless and battery-operated, It is best used for more sensitive areas of the skin such as the upper lip, chin, underarms and bikini line. Because it can be used for such areas, it is specifically designed to reduce pain during the hair removal process. If you need a minimal epilator that will do all the simple areas, the Emjoi Epi Slim Epilator may just be the best option for you. There is nothing quite as versatile as the Aooher Epilator. This multifunctional epilator doesn’t just remove unwanted hair, it is also a facial cleaner, a cleaning brush pedicure, a dead skin remover and a body massage roller all in one. Who wouldn’t want this beauty kit? This product comes with 5 different interchangeable heads. Simply choose the function that you want and attach the head to its body. In terms of its epilation function, a lot of users say that it is also gentle on skin with very minimal pain. Yet again, we have another product from Braun - so, what’s the difference between this and the other Braun listed above? For one, the 3 3-170 is a lot more compact than the Wet and Dry version. It covers all the simple functions (and a bit more) which makes this a classic in the Braun Silk-épil line. It has a 20-tweezer system that guarantees easy and painfree hair removal. It also has massage rollers that ease the tension of your skin during the hair removal process. But what I like most about this product is its superlight function. The smartlight function can find even the tiniest of hairs and it said that the Braun has less chances of missing any unwanted hair compared to other products. If you are on this page to look for an epilator specifically for the face only, I’ve got something for you. I understand that most of the other products may come off to be intimidating, especially at the thought that you’d be using them on your face as well. The Panasonic ES2113PC Facial Hair Trimmer is specifically designed to fit your facial hair removal needs. It comes with a smooth pivoting head which allows it to closely follow the contours of your face. And compared to the other epilators, this actually comes with a hypoallergenic blade rather than tweezers. This tool also has a snap-on eyebrow shaper comb. So for all of you out there who also need to groom your brows at the same time, this product may be the best option for you. And just like the Emjoi epilator, the design of the Panasonic is sleek and thin as well. Making it one of the go-to items when you go out and travel. We all know that epilators are not all made equally. In order to get the best results, you may need to invest a little bit more. But remember that this is for your overall safety, and not just for the purpose of looking well-groomed. You may have heard about different horror stories when using an epilator. Others may claim that the pain was too much that they would start to tear up during the whole process. While this might be true, because different people have various pain tolerance levels, the main cause might be because they did not choose the right epilator for them. Before going out to buy one of your own, feel free to look at many different reviews or videos on YouTube. Or, simply visit a store and ask for advice from a trusted staff member. Don’t be disheartened if you haven’t found the right one just yet; it just means that what may work for others might not work for you. Keep looking! Let us know in the comments below. Surprisingly, there are a lot of women who are interested in using epilators. If you are one of them and if you have a question, feel free to ask us! In the meantime, share these epilator reviews with a family member or a friend who might need it.